New release! 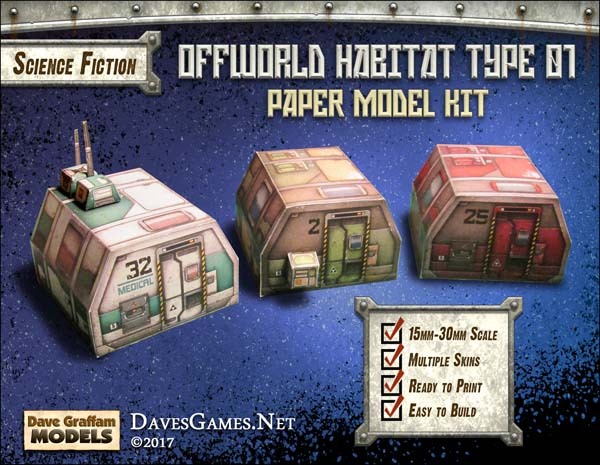 Offworld Habitat Type 01 is a single-person shelter designed for first wave colonists, suitable for lots of alien environments. 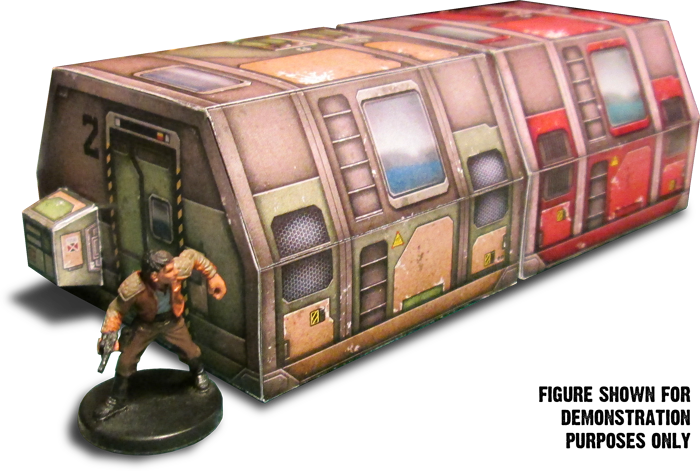 This card model kit is now available for just $1.95 at Wargame Vault, RPGNow and DriveThruRPG. It features 10 color schemes with optional equipment modules and aerials. Nice! Definitely gotta pick these up, they will work great in a setting I'm working on for my GunCrawl mod lol! Just picked these up and they look really sweet, can't wait to build a bunch of them! Also picked up your Cargo Pods and Spaceport Crates to go with as I realized I didn't have them yet lol! Also out of curiosity are there cutter files for any of these by chance? If not it's ok lol!